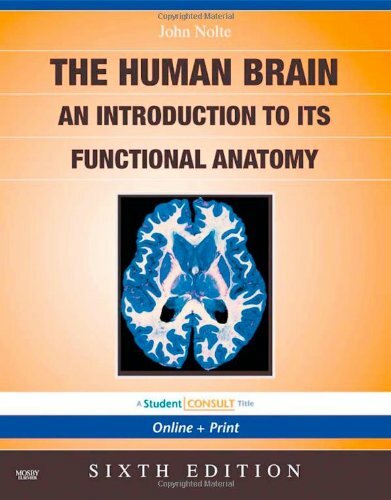 Already known as the reference of choice for expert coverage on the structure and function of the human brain and the nervous system, Nolte's The Human Brain continues to impress with essential updates throughout this new edition. It includes a new chapter on formation, modification, and repair of connections, with coverage of learning and memory, as well as the coming revolution of ways to fix damaged nervous systems, trophic factors, stem cells, and more. 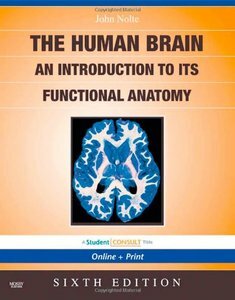 550 full-color illustrations-more than 650 in all-support the text and depict every nuance of brain function. But, best of all, your purchase now includes access to the entire contents online, including all of the book's illustrations, video clips, and additional software, plus many other exclusive features at www.studentconsult.com. Offers unlimited access to the complete contents of the book online, as well as video clips and additional software at www.studentconsult.com, so you can consult it anywhere you go…perform quick searches…add your own notes and bookmarks…follow Integration Links to related bonus content from other Student Consult titles…and reference all of the other Student Consult titles you own online, too-all in one place!